Ah! I am so excited about #FeelingVeggieGoodFriday! Every Friday, my mother and I will be posting a new recipe we've tried that week. It could be a breakfast, lunch/dinner, or dessert recipe. Some recipes may be a little more complex than others, but they should all be fairly easy for everyone to make. Let's get started with this week's recipe! 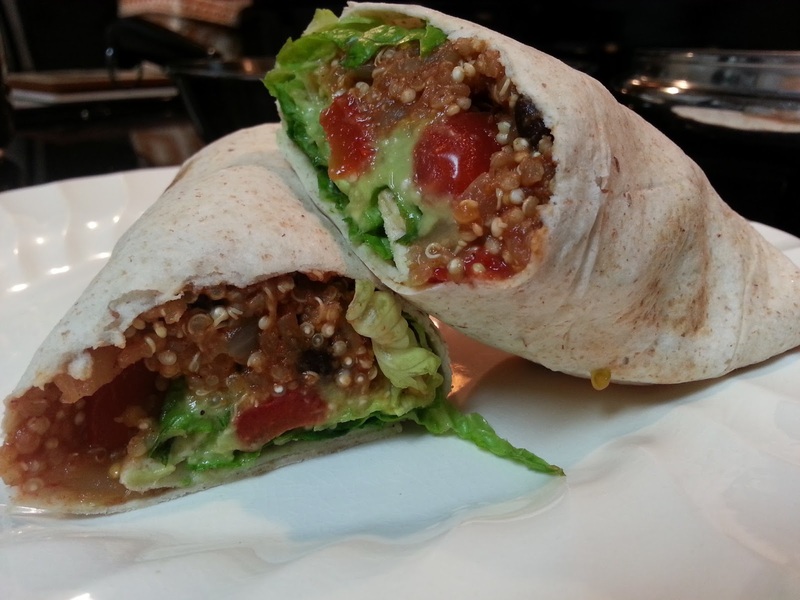 Our first recipe is Quinoa Black Bean Burritos, an easy-to-prepare dish that is delicious and satisfying. Even my non-vegan dad liked it! It made more than enough to feed three hungry folks with enough leftover for today's lunch. *NOTE: We used a sweet yellow onion since we didn't have a brown onion. In researching brown onions we determined that the yellow onion with which we are familiar is the American equivalent of the brown onion used in other countries. 2. Saute diced onion and garlic with a splash of water until translucent. 3. 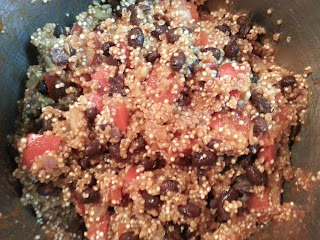 Add in tomato paste and spices. Stir until combined. 4. 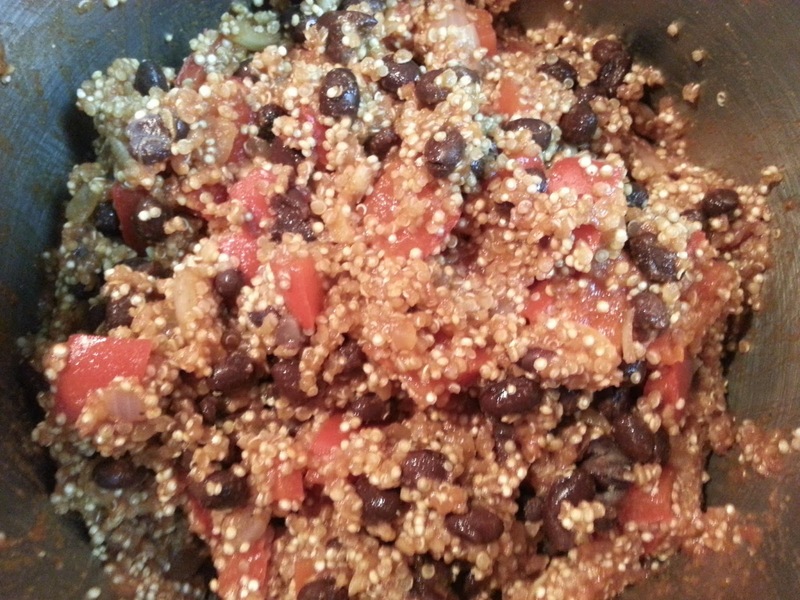 Add in quinoa and veggie broth. Stir until combined on medium heat and bring to gentle boil. Cover, reduce temperature and simmer on low heat for 25 minutes or until the liquid has absorbed. 5. In a separate pan, saute capsicum with some salt on high heat. 6. 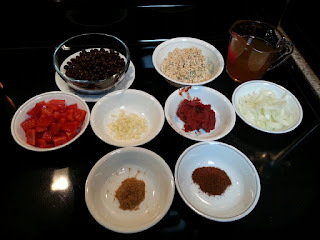 Add in the black beans and capsicum. Stir to combine. 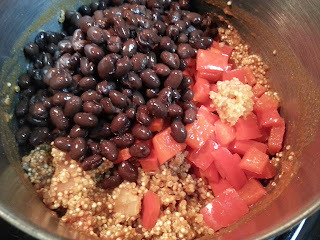 While quinoa and black beans are simmering, make guacamole by mashing an avocado and seasoning to taste with salt, pepper and garlic powder. 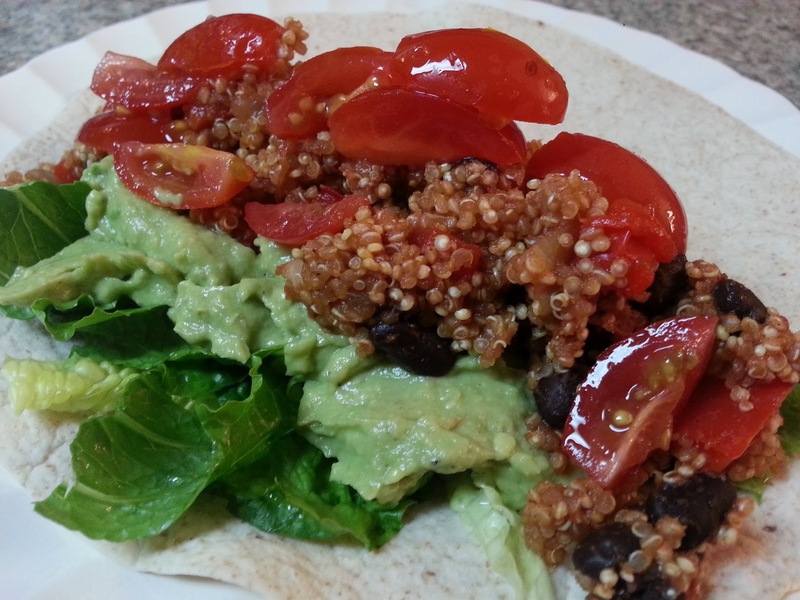 Serve quinoa and black bean mixture on wrap or tortilla of choice and garnish with lettuce, tomato, and guacamole. Muy delicioso!